My salute to consumerism. (Clockwise from top left) Robert Plant “Band of Joy”, White Stripes “White Blood Cells”, White Stripes “Icky Thump”, The Clash “Give ‘Em Enough Rope”, Willis Earl Beal “Acousmatic Sorcery” (CD), Joe Strummer “Live at Acton Town Hall”, Beck “Sea Change”. He shoots, he scores (vinyl)! I stopped at an estate sale on my way home from work the other day. I was interested in the $20 Black & Decker leaf blower that was “featured” in the online ad for the sale. You know, a leaf blower, the thing you use to make your problem your neighbour’s problem? Anyway, while I was there I asked about the records that were also listed in the ad. The guy said he had them in the trunk of his car because he was going to take them to a used record store and try and unload them. Obviously I asked to see them and he obliged. Now, I don’t know what the weather is like in your part of the world, but here–where I live–it’s full-on winter. We’re talking 10 to 15cm of snow and day time highs of -12 Celsius. I’m sure the seller wasn’t in the mood to stand there on the street while some guy thumbed through the entire 200 LP collection in the trunk of his car and I certainly wasn’t in the mood either. I asked him what was in the collection. He said he wasn’t sure but, in his words, “It’s mostly contemporary.” He then added, “I think there are some Beatles records and some Ella Fitzgerald, maybe some Ray Charles…” It wasn’t much to go on, but his asking price wasn’t out of line (not even close) so I loaded the records and my new leaf blower into the backseat of my car and sped off into the snow and ice. Stan Getz, Duane Eddy, June Christy, Vera Lynn, Joan Baez, Gene Pitney, Cliff Richard, Chubby Checker, Della Reese and, of course, the perfunctory ABBA. Oh, and a leaf blower. 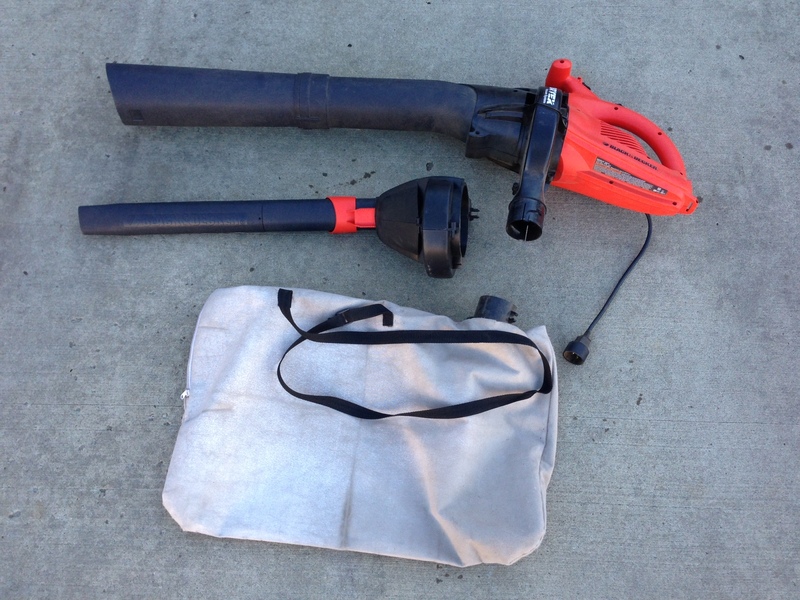 The leaf blower I scored from the estate sale. Now, good day and good record hunting. If I had a time machine I would focus the bulk of my attention on the years of 1958 to 1972. I’d be back there two, three, four times a weeks slapping ball-point pens out of the hands of teenagers before they could write their names on their album covers. And then, if there was time, I’d go tell all those people not to get on the Titanic. But, for the most part, I’d be slapping pens out of hands. My $6 Cult “Live at the Lyceum” mispressing. Side 1 is correct, Side 2 is actually Side 2 of Canadian folk rock icon Bruce Cockburn’s “Further Adventures of” album. When it comes to thrift store record scores I have been in the midst of what can only be described as an historic slump. Until this past Thursday. 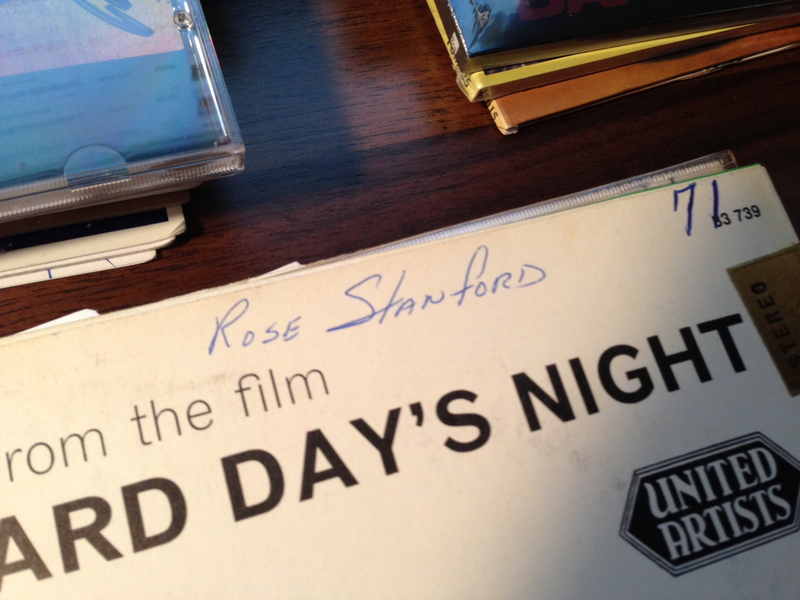 Thursday was one of those magical days that all record hunters/collectors dream of. The dream where you walk into the thrift store just as they’re brining out the “new” stock from the back. At this point fireworks are going off in my head. Alarms are sounding. Microscopic children take turns whacking the pinata that hangs inside my skull in the space my brain normally occupies. And then, as quickly as she appeared, the thrift store lady disappeared. I looked around and there was not another soul. No one. Just me and, well, who knows? A Beatles “Butcher” cover? An original Island pressing of Nick Drake’s Fruit Tree box set? 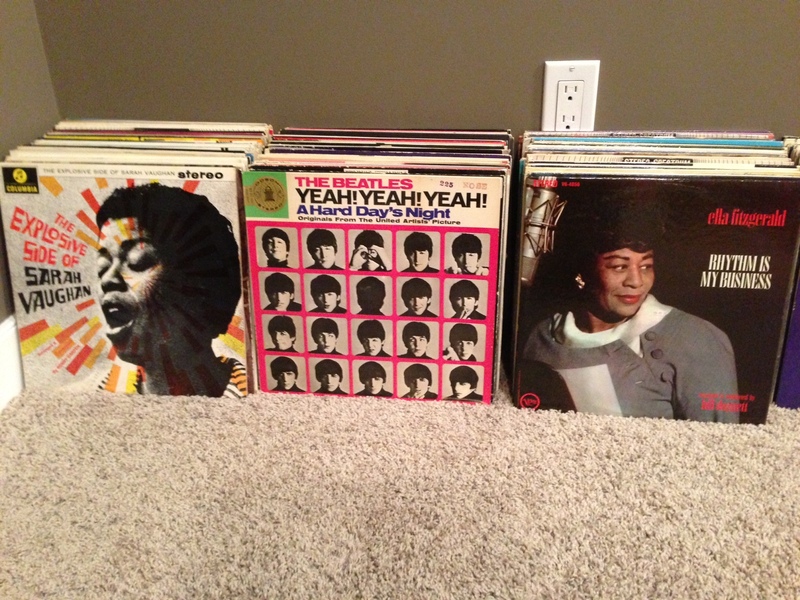 Sadly, neither of those but of the 70 or 80 records she put out, I grabbed 12. There were more–like the complete Police discography, some Queen and some Rush–but I threw those back like a fisherman tosses back a pike. 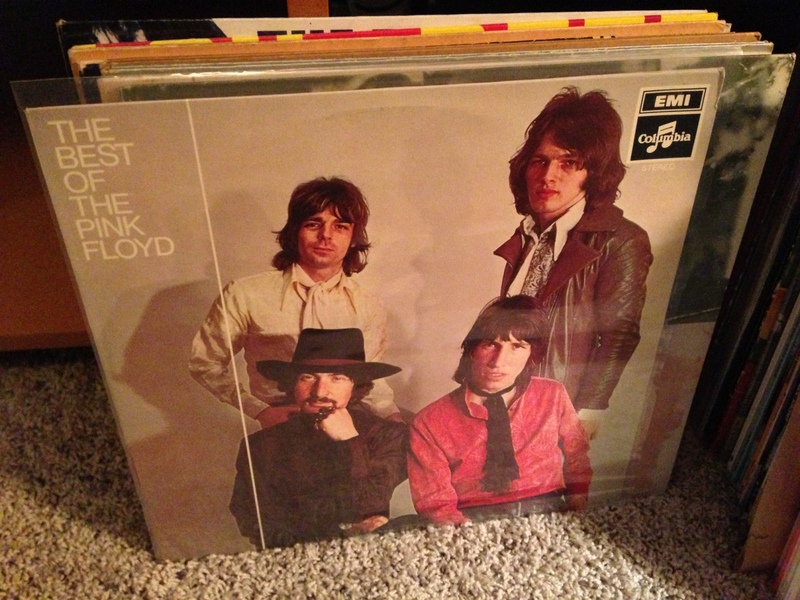 In the end I walked away with an original import (Holland) first issue of The Best of Pink Floyd. I grabbed 3 Joni Mitchell LPs, 3 Traffic LPs, some R.E.M., the Pogues, Lou Reed and a copy of the Pretenders Get Close. A dozen VG++ to near mint records for less than $24. You’ve got to like that. Feel free to share your super-amazing thrift store scores in the comments section. Thanks for reading and thanks to Brad for calling my radio show the other day and nudging me to update this blog. Now, good day and good record huntin’. You don’t need to hang around a record store or high-end stereo shop for very long before you’ll hear some variation of the audiophile mantra, Music sounds better on vinyl. “Music sounds better on vinyl” is to audiophiles what “Breakfast is the most important meal of the day” was to your mother: unquantifiable. There is no way to conclusively measure how music sounds better on vinyl any more than you can measure how a bowl of Frosted Flakes at 7am is better than a bowl of tomato soup at noon. Both claims are purely subjective and with infinite variables. I will agree with a statement like “The music listening experience is better with vinyl”, but as far as claiming music sounds best on vinyl, I can’t buy into it. – You can hold an LP in your hand. Now smell it. That LP has been to some good, good parties and has been handled by some interesting people. – You don’t meet interesting people at an MP3 swap meet. – An LP keeps you close to the stereo where the music sounds best. Listening to a record is the activity. The complete lack of portability when it comes to a turntable, speakers and an amplifier negates that nagging feeling that you should be cutting the lawn or re-stippling your bathroom ceiling. – You don’t get the exhilaration of going out late at night with your friends to steal milk crates from behind the 7-11 so you have some place to neatly stack your MP3s. – You can’t melt an MP3 into a chip bowl for your next party. – The 13-year old version of you didn’t get his mind blown by staring at album artwork on a 2-1/2 inch screen. No, it was 12-square inches of Herb Alpert’s Whipped Cream and Other Delights or the Cars Candy-O (see above) that did that. There, just a few reasons why the vinyl listening EXPERIENCE is better than digital. Now, put on a record and add your own reasons to the comments below. I love it when I listen to an old live album and the crowd doesn’t immediately erupt into applause as soon as they hear the opening riff of a popular song. It’s not that they’re being polite, reserved and respectful either. The reason they don’t applaud and “Wooooo!” through the opening bars is because the song is not a hit yet at the time the live album was recorded. I love this. It never gets old. It happened again this afternoon while I was out for a walk. 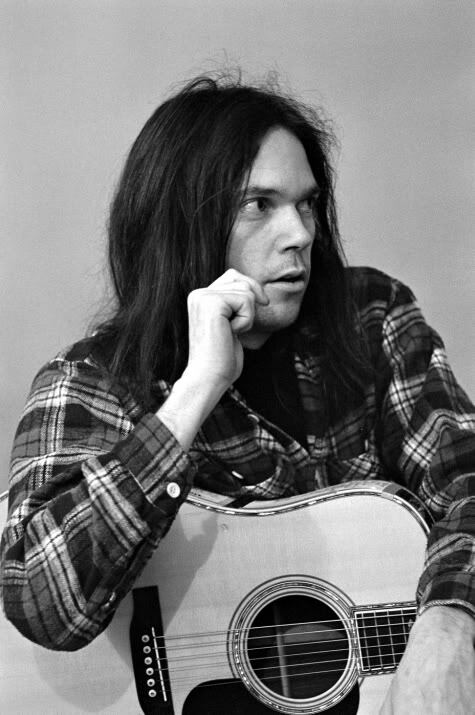 The live version of Neil Young’s Needle and the Damage Done (Live at Massey Hall 1971) popped up on my iPod and the crowd remained absolutely silent through that beautiful opening guitar riff, a riff that would go on to become one of Neil’s most famous. I just turned it up, nodded knowingly to no one in particular and continued trudging through the snow like an all-knowing music snob from the future.